This Ford F-150 might be packing a lot of power. According to AutoBlog, "The engine produces a respectable 254 horsepower and a healthy 443 pound-feet of torque". 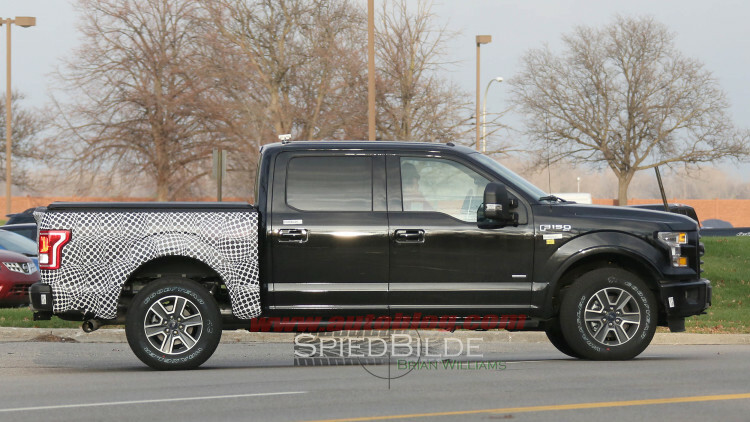 Their spy photographers caught this Ford F-150 driving around Dearborn, wearing camouflage around the bed – not so unusual near Ford's headquarters. "What's interesting with this particular mule is that it might be packing a Jaguar-Land Rover turbodiesel V6".